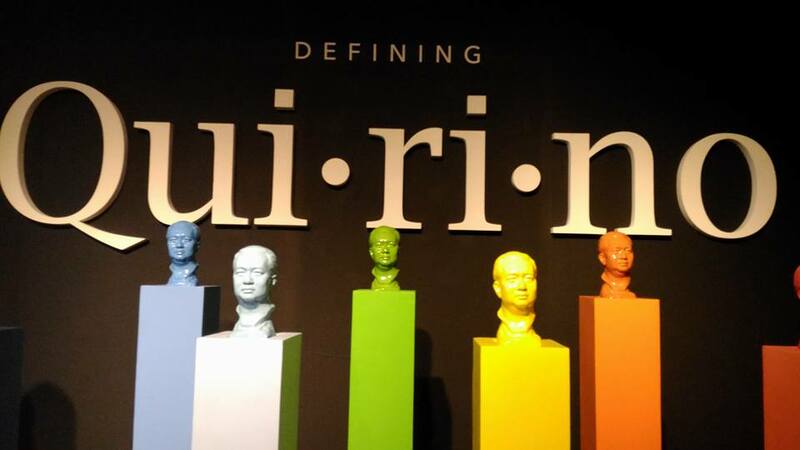 The Ayala Museum is hosting a special exhibit about President Elpidio Quirino's Legacy- Defining Quirino. 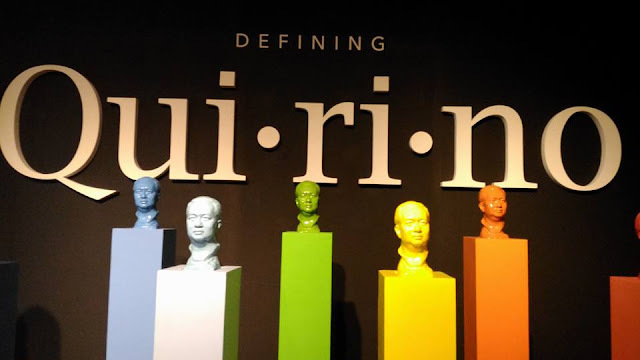 The exhibit presents "words" that describes the core values of President Quirino during his presidency and afterwards. The exhibit aims to show and inspire everyone about President Quirino's patriotism and compassion towards his fellow Filipinos and country. Tolerance. Goodwill. Love. 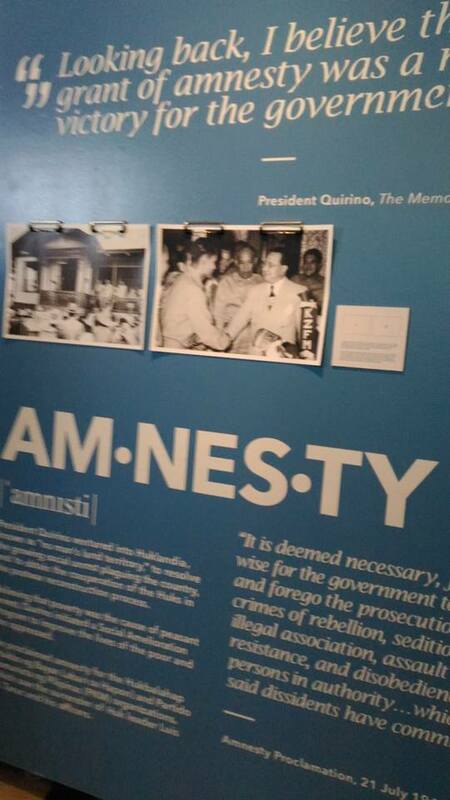 There are just some of the values upheld by President Quirino. There's also a special lecture for students when the exhibit opened. 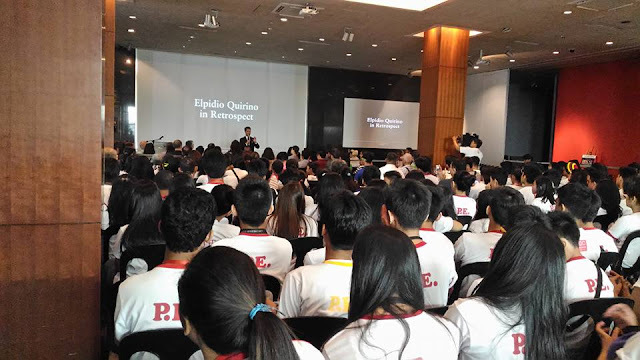 It's really a privilege for these students to learn first hand about the life and works of President Quirino because most of the things discussed are not in the books. Another highlight of the exhibit is the wall with 125 portraits of the former President. Various Filipino artists created the portraits. "It's quite interesting to see how different people have created different representations of the same person. Symbolically, this could speak of the many things he stood for- both as a public figure and a private person," says Atty. Lila Quirino, President of the Quirino Foundation. 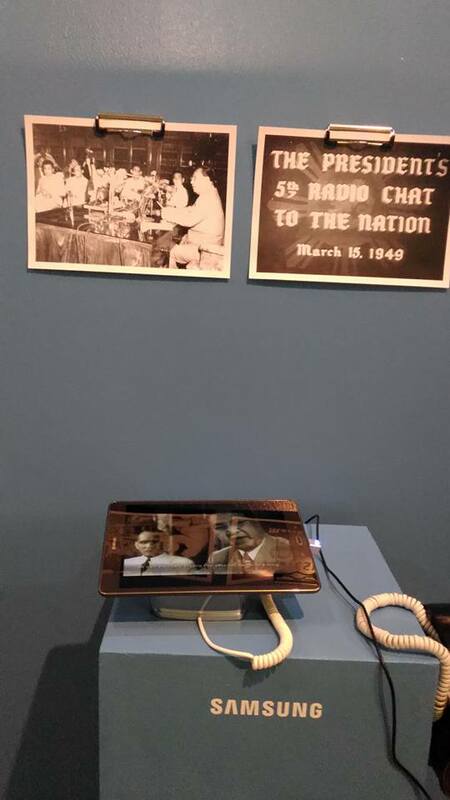 There's also an interactive display so that visitors can digitally browse and color the Mga Kwentong Quirino Comics, and post their personal pledges on how to be a better Filipino citizen. The exhibit runs from November 7 to 29, 2015 at the second floor of the Ayala Museum. This exhibit is free and open to the public. I must say that I don't know much about President Quirino and thru this exhibit, I only not learned a lot but got to see him in another angle. Viva Manilena encourages everyone to visit the museum and learn more about the country's sixth President of the Republic of the Philippines.